This is one of the most frequently asked question to me. Creating and compiling a C program using an IDE is like waving some magic wand. However, a beginner must know how to compile and run C programs using command line in Windows based operating system. To create a C program using command line you need two basic software’s. A text editor (such as Notepad or Notepad++ ). You must have C compiler installed and configured on your computer before you proceed. 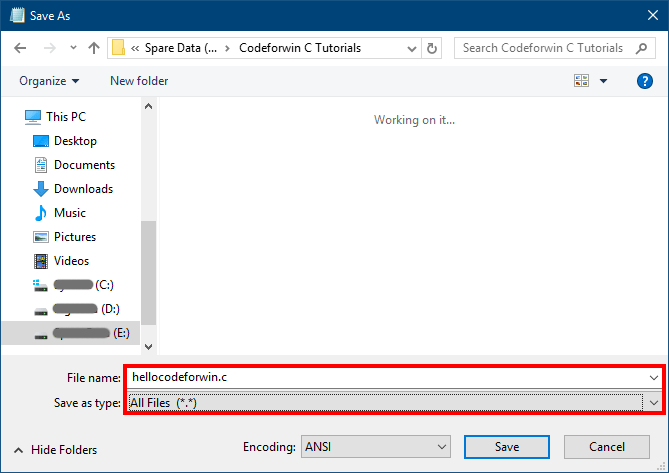 Read more - How to download, install and configure CodeBlocks with C compiler in Windows. How to create a C program using Notepad (Windows)? Hit windows button and type notepad in it. 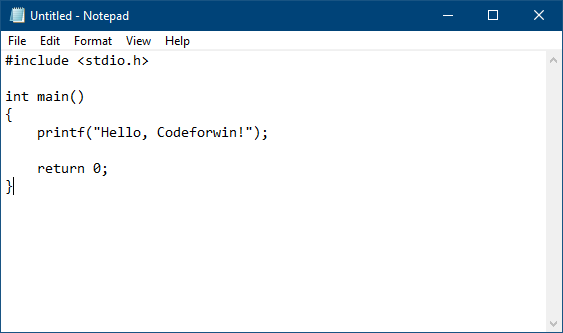 Alternatively, hit Win + R, type notepad and hit enter to open notepad. Type C source code in notepad. For now do not care about what you are typing just copy paste the source code. We will have in depth discussion on C program structure later. Copy and paste the below source in your notepad. Click on File → Save As in the menu bar. Alternatively, hit Ctrl + S to open Save As dialog box. Give some name to your first C program. Add .c extension at the end of your file name. Also be sure not to save this file as plain text file. 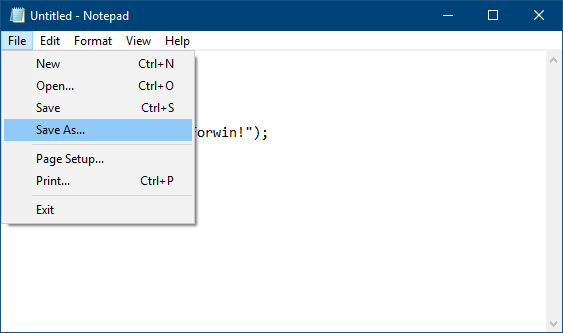 Change the plain text file option from Save as type option to All files. How to compile and run a C program using command line? Once you created your first C program. It’s time for real action. A program is worthless until it is compiled and executed. Before you compile and run the above C program. You must be in the same directory as of your C program. To test your program open command prompt and execute following commands.